Jill has over 28 years of experience in the field of Childhood Education and Social Services. She earned her teaching certifications in both Elementary and Special Education from Alfred University in 1989 and completed a Masters in Social Work from Rutgers University in 1995 . She spent the first 11 years in the classroom working as a Special Education Teacher and then 7 years as an EI practitioner providing Developmental Intervention to children under the age of 3 and to their families. For the past 6 years, Jill has worked for The Arc of Somerset County as the Assistant Director of Early Intervention. For the previous 10 months, she held an acting role as the Director of the Department of Children’s Services. 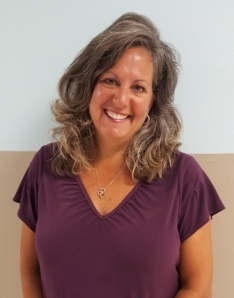 In March of this year , Jill was hired as the new Director of Early Childhood Services for the Jerry Davis Center at The Arc of Somerset County. Jill’s lifetime passion has always been to work with young children and their families as a whole , helping to improve the lives of others through the professional support and education needed to foster daily development. Her philosophy is perfectly aligned with the purpose The Arc aims to achieve every day. When not working , Jill loves to play tennis , run/walk and workout for all the many health benefits. She loves spending quality time with her 3 teenage children, extended family, close friends and dog, Tucker. Summers are spent enjoying beach time in Ocean City, NJ . Jill resides in South Brunswick, NJ.